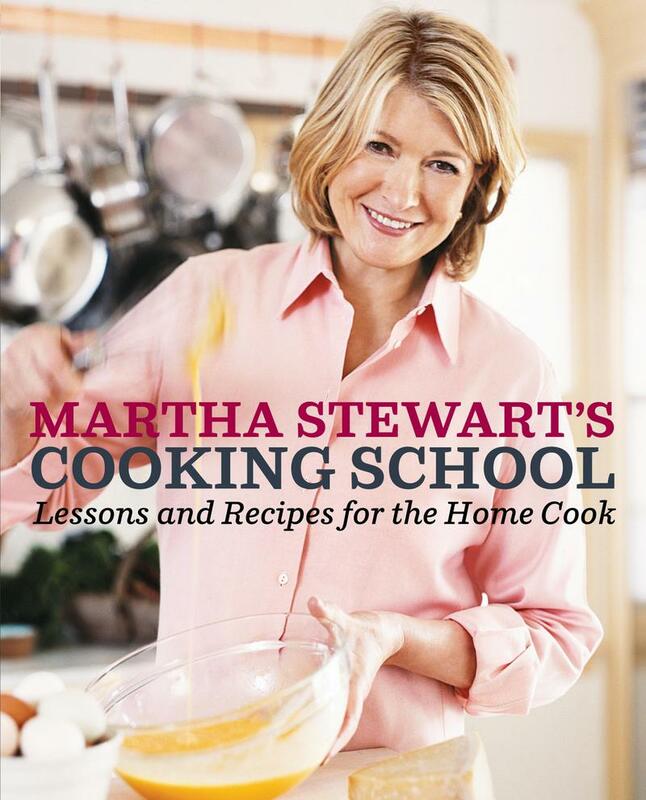 On Tuesday, Martha's latest cookbook will be released: Martha Stewart's Cooking School. Tuesday will also mark the first day of Martha's Cooking School series on her television show, co-hosted by Everyday Food editor Sarah Carey, so be sure to tune in to hear the latest details about the program. Martha recently spoke to the Detroit Free Press about the book and says Cooking School is the most instructional cookbook she has ever written. "I am a teacher, so I thought this would be a good time to use all of our knowledge and put it down as a cooking school," she said. "We have people coming on the show all the time using some of these techniques, and we've never organized them as we have in this book. "Here we go through the different techniques -- the braising, the poaching, the steaming, the oven roasting, the sautéing so that you really know what you are doing when you say you are sautéing," she said. "And the recipes we give are really jumpstarts for you to then be able to sauté something else. You are going to sauté a piece of chicken cutlet and you will be able to do veal if you wish, or beef or something else." The chapters are called 'Lessons' and are built around a particular technique. A chapter on braising will teach readers the technique and then demostrate how that technique can be used in different ways in different recipes. In some ways it's like a textbook, with the lessons numbered 2.1, 2.2, etc. and "extra credit" sections such as making soup garnishes or homemade mayonnaise in the egg lesson. There are plenty of illustrations and pictures along with step-by-step instructions. The book weighs a hefty four pounds, is hardcover and has over 500 pages with 200 recipes: another tome to add to your Martha Stewart book collection! Martha also says that learning to cook can help families save money in hard economic times. "I think all the how-to's, the do-it-yourselves, are totally reflective of what's going on in the world today," she told the Detroit Free Press. "Paying a lot of attention to nutrition and homemade is exactly where we need to be right now." Just a quick update on the Birmingham, MI book signing.. the time has changed to 3pm. Only 350 wristbands will be issued with the purchase of a Cooking School book. Martha will only sign the cooking school books. Doors open at 9 a.m. and I plan to be there! Thanks for the update, Kenn! I'm sure you'll be first (or at least second) in line! Say hi from Martha Moments and friends! How long has it been since Martha's done a book signing? I can't remember her doing a book tour for the last couple of books. She did a book tour for the Homekeeping Handbook in 2006. Hmmm, I think I know what I am going to ask "Santa" to bring me this Christmas.